Jurlique Purely Bright Rediance Serum Review (2018): Is It Safe To Use? Jurlique Purely Bright Rediance Serum Review : Ingredients, Side Effects, Detailed Review And More. What Is Jurlique Purely Bright Rediance Serum? This product was formulated and manufactured by Jurlique which prides itself for combining alchemy, herbal medicine, an homeopathy in all of its formulations. 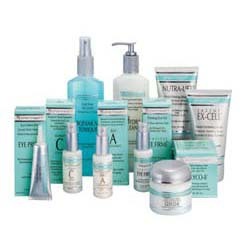 The skin care company founded in 1980, formulates its products using botanical ingredients owned and grown by the company in Adelaide in Australia. The company now holds its headquarters also in Adelaide. But this brand does not possess a very good reputation in skin care industry. 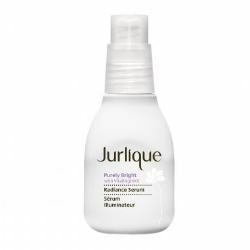 Jurlique Purely Bright Radiance Serum, US $60 for 1 fl. oz., improves the appearance of dark spots and gives you a fairer skin tone. Jurlique Purely Bright Rediance Serum – Does It Really Work? Jurlique claims that this serum was formulated to brighten the skin as well as lighten the discolored spots in the face. 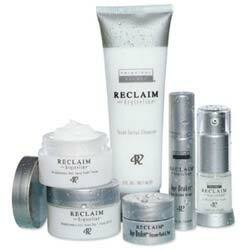 It also protects the skin from signs of aging as well as environmental damage. However, one thing that uses did not like about this product is that it produces a stinging sensation upon application. This product works by delivering the proprietary ingredient, VitaBrightKX formulated from Kakadu Plum which, according to Jurlique’s product labels is “the world’s richest natural fruit source of Vitamin C”. What Are The Ingredients In Jurlique Purely Bright Rediance Serum? Kakadu Plum: Contains high levels of Vitamin C that revitalizes the energy of your skin cells, and also delivers astringent properties that support skin lightening and toning to keep your pores tight. Licorice Root Extract: Delivers skin lightening properties, it also helps even out your skin tone by delivering anti-inflammatory properties. This ingredient may disrupt the hormonal levels in the body. Squalane: This humectant envelopes the skin with a waterproof layer that preserves the moisture inside the skin cells. It provides extensive hydration to the skin without leaving a greasy residue. This product is formulated with a wide variety of antioxidants that protect your skin from hyper pigmentation caused by environmental factors. The product has a watery consistency that effortlessly blends the product into your skin. This product contains alcohol which can both instantly dry out your skin and build up damages that cause irreversible signs of skin aging. The manufacturer fails to present proof of efficacy that this product works as claimed. 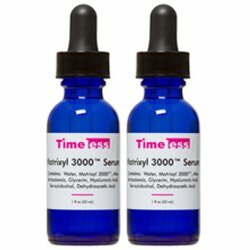 It contains eugenol which has been proven to be problematic for all types of skin. The numerous fragrant ingredients in the product also pose a risk for irritation. Some users claim that the serum produces a stinging sensation upon application. Does Jurlique Purely Bright Rediance Serum Have Any Side-Effects? Skin irritation and allergic reactions due to several ingredients, including fragrance ingredients and benzyl benzoate. Jurlique Purely Bright Radiance Serum must be used on freshly cleansed and toned skin. Apply the product to your neck and chest as well. Always use sunscreen in the morning to prevent UV from further causing damage to your skin. Always perform an overnight patch test when using this product for the first time. Jurlique Purely Bright Radiance Serum contains rather standard ingredients for lightening skin and brightening your overall complexion. Its innovative botanical formulation of this prod, no matter how safe it may seem lacks the evidence to prove that the formula does work. It’s a reasonable demand whatever price point you’re willing to pay. Also few ingredients used in this product may not be suitable for sensitive skin.